With ProofHub’s project management templates you can save yourself from the hassle of having to create projects from scratch every time you have to start a new project; saving you a lot of time! ProofHub gives you the option of using project management templates for the projects you repeat time and again, so you don’t have to waste your time and effort. No need to manually add project information every time you work on similar kind of projects. Create project templates so that you can quickly get going on same kind of projects in the future and save yourself from all the hassle. Simplify your work by using your saved project management templates in ProofHub. This makes it easy to start working on new projects, without having to spend time on adding all the information in the project. Save your time in creating projects by converting your existing templates into projects. 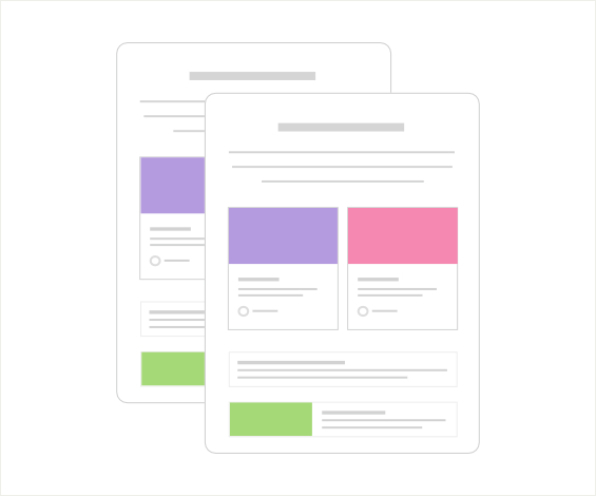 This way all your discussions, task lists, events and milestones in your template will get copied to your project in an instant. With ProofHub project management templates you get the option to adjust date parameters as per your need. Keep the same dates entered while creating the project, or make them in accordance to the current time, and start working on the project. Wasting too much time creating new projects every single time? ProofHub has got just the right solution for you. ProofHub’s project management templates provide a proven process for management of offshore development projects, that significantly improves the chances that the projects will be completed within deadlines.